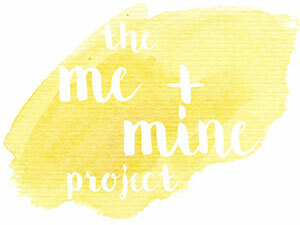 Joining up with the Me and Mine Family Portrait Project with this photo of our little family for February. Very cheesey smiles from Mr MoaB and me. Baby R has no idea what's going on but at least we got a natural smile from Little Miss A for a change! Now we've been here 3 months, I'm starting to feel like Cheshire is home. I don't have to put my sat nav on so much to get anywhere which I think is a sign. We've got into more of a routine now that both kids are at nursery and I'm starting to meet a few Mums at various playgroups etc. It is hard not knowing up here at all but I know it just takes time. Mr MoaB is really enjoying his job and it's so nice that he's just a 15 minute drive away so he's getting so much more time with the kids in the mornings and especially in the evenings. - Baby R started nursery and has settled in really well just like his sister. Little Miss A has been keeping an eye on him. - On a couple of occasions this month I've taken Little Miss A to a Scoot Fit Disco. She loves being able to whizz about on her scooter and I love it as it's indoors so perfect for this time of year. - It's been a long time coming but Little Miss A finally got to be like Daddy and go up in the trees on the Go Ape Junior Course as she's now tall enough. A few wobbles on the first go round but she gained in confidence massively by the second go and unsurprisingly loved the zip wire! - We met up with my niece at Cannock Chase for a lovely walk. It was great to catch up with her and nice for the kids to spend time with her. - We now live only 20 minutes away from Chester and everyone says how nice it is so it's been high up our list of places to visit. We managed to visit this month on a gloriously bright, sunny day. Can't wait to go back and explore more. - Mr MoaB took Little Miss A swimming for the first time in months. She definitely hasn't lost any of her confidence in the water. - Mr MoaB and I spent a rare childfree day with a trip to Cheshire Oaks. Somehow Mr MoaB ended up buying quite a few things and I ended up with zilch. Next time it's my turn! We even treated ourselves to lunch at Wagamamas. It was like a date day and really nice. - I ended up in hospitalwith neutropenic sepsis. I felt absolutely fine but had a raised temperature so they kept me in and gave me antibiotics. Thankfully they released me after 2 nights with antibiotics to take at home. The hardest part was being away from the kids. - I've had another round of chemo - Number 4. It was a frustrating day at the Cancer Centre as we had to wait over 4 hours just to see the consultant. I just wanted to get on with the chemo, but it's just one of those things. The chemo always wipes me out for a few days and I'm trying to make the most of the two days that the kids are at nursery to rest. - We all had colds at some point this month. Baby R definitely had it worst though with conjunctivitis thrown in for good measure so we had take him to the doctors for eye drops. Thankfully it didn't affect him too much at night and he was still sleeping well. - We had to say goodbye to our dog - Sassy. We were struggling to look after her with my cancer treatment etc. so she has gone to live with my niece. It was hard to say goodbye to her and it's strange in the house without her. Thanks Alex. Little Miss A is coping so well with everything. I'm looking forward to some warmer weather to enjoy our new surroundings. Thanks so much Jess. It's actually been a relatively calm month compared to most over the last 12 months but I do hope March is calm too! What a lovely photo. It's always nice to explore somewhere you've newly moved to. We still haven't explored everywhere by us and we moved to ours ten years ago! Neutropenia is such a difficult thing but wishing you the very, very best with your chemotherapy. Cancer is a git. Thanks Tania. It really is but touch wood, I'm doing ok and I'm over half way through my chemo now so the end is in sight. Thanks so much Laura. I'm definitely hoping for a quieter March. Despite having family in Chester, I've only visited the town part a couple of times ever. It was beautiful though. It must be so tough to not only have to deal with the chemo, but be so wiped out when you have to look after the kids. I struggle with my one sometimes and I'm certainly not going through anything as remotely scary or gruelling as chemo! Thanks so much Emmy. Chester is lovely and I'm really looking forward to exploring more it over the next few months. I'm amazed by how well the kids are coping with everything and they're generally behaving for me! Thanks Louise. It was a mixed bag of a month but luckily the kids don't seem to be affected too much by my hospital visit etc. A Look Back At When Little Miss A Turned 3!